Digital Photography Review has published a full, positive review of Sony's latest high-resolution full frame mirrorless camera. "At its core, the a7R III can be seen as a mashup of the best parts of its predecessor, the a7R II, and Sony's sports-shooting flagship a9. As with Nikon's D850 for DSLR users, the a7R III has the potential to be a 'Goldilocks' camera for those looking at mirrorless solutions. You get tons of resolution, great burst speeds, capable autofocus and impressive video." "The sheer capability of the Sony a7R III is hard to overstate. With the sports-oriented a9, Sony was aiming for outright speed; the a7R III has inherited much of that, but offers far more resolution and dynamic range. Like the Nikon D850, the a7R III is a camera that you can shoot just about anything with, from landscapes to fast action." 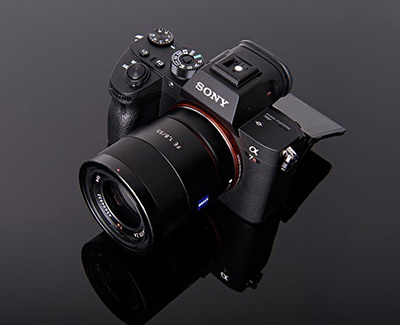 "There is a vast number of small improvements and refinements in the a7R III. From the ergonomics to the better organised menus, this is the most usable and engaging a7-series camera yet. The on-sensor autofocus system needs some work in terms of subject tracking, but in other autofocus modes, the a7R III makes it dead easy to get the most out of the 42.4MP of resolution it offers. Never before has shooting such high resolution files been so fun, or so painless." "The a7R III still can't quite match the feeling of immediacy that comes with using a high-end DSLR; the card write speeds can get in your way, and the learning curve for new users can be steep. But the fact remains that the a7R III is capable of gorgeous still images and video, and has the feel of an impressively polished product. In our opinion, this is easily Sony's best camera yet, and one of the best cameras we've ever tested. It's the most well-rounded mirrorless camera on the market today, and for that, it earns our highest award." T-HR3 is remotely controlled from a "Master Maneuvering System" that lets a human operator become 'one' with the robot. Wearable controls map the operator's hand, arm, and foot movements and communicate them to T-HR3's body parts. When the operator moves their arms, the robot mirrors those movements. The operator can also walk in place to make the robot move forward or laterally. Plus, a head-mounted display lets the operator see from T-HR3's perspective. Toyota said its latest robotics platform can "safely assist humans in a variety of settings, such as the home, medical facilities, construction sites, disaster-stricken areas, and even outer space." T-HR3 can even maintain its balance if it collides with something. After decades of using Helvetica (and paying millions of dollars for the privilege) as its corporate font, IBM has decided to design its own typeface. IBM Plex is a work in progress, and includes sans serif, slab serif and monospace versions. To my eyes they look like a not very beautiful committee mash-up of Din, Bell Gothic, News Gothic and Archer, but if you fancy trying them out, all 48 styles are available for free download at Font Squirrel. The Verge has produced a comprehensive no-nonsense review. On a less serious note, Wired has published an amusing summary of some of the more gushing iPhone X reviews. 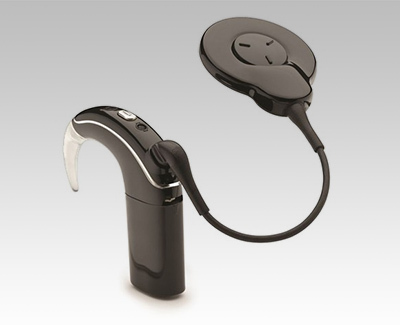 The Nucleus 7 allows users to stream sounds directly to their Cochlear implant from their iPhone, iPad and iPod touch. People living with severe to profound hearing loss will be able to listen to music, play games, watch videos, get directions from Maps, or make FaceTime calls. 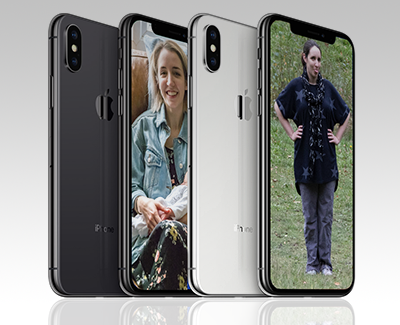 Users can control the sound processor on their iPhone using the Nucleus Smart App, which monitors the device's volume, battery and location with the Find My Processor feature.